Harris Ranch Beef Company offers a wide variety of beef programs for retail, foodservice and export customers. 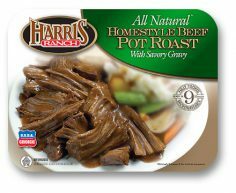 All our beef is raised with strict guidelines for animal welfare and produced under the highest standards of food safety. To learn about beef grading, marbling, and the wide variety of beef cuts, please visit our Retail page. 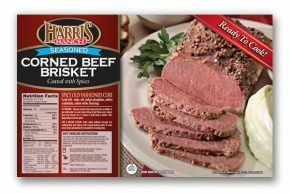 Visit our Foodservice page to discover the special qualities of Black Angus beef and the strict requirements for Certified Angus Beef®, which is offered for sale in California. 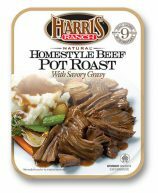 Retail, foodservice and export customers may place orders by contacting Harris Ranch Beef Company at 559-896-3081 or 800-742-1955. 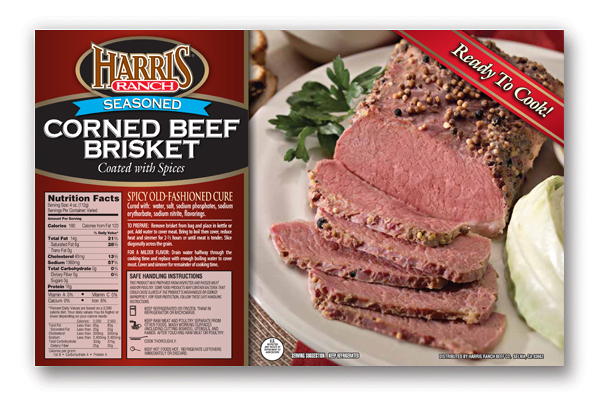 Consumers may purchase Harris Ranch Beef at one of our many store locations. 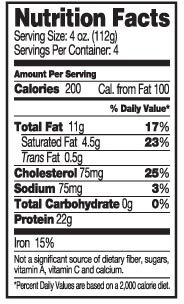 Click the product name below for additional information. 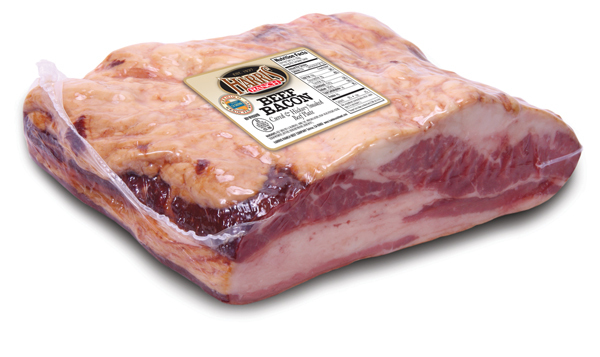 The Angus breed has superior genetics that have been proven to produce fine-textured marbling, which results in outstanding tenderness, juiciness and flavor. 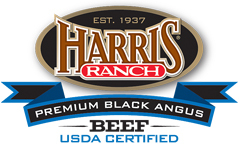 The United States Department of Agriculture (USDA) provides oversight to the Harris Ranch Black Angus Beef program. 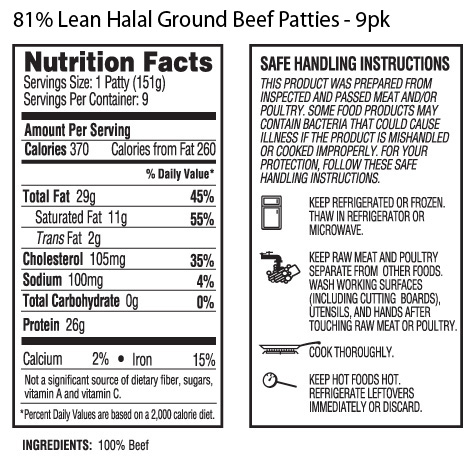 Strict requirements for carcass traits must be met for carcasses to be certified. 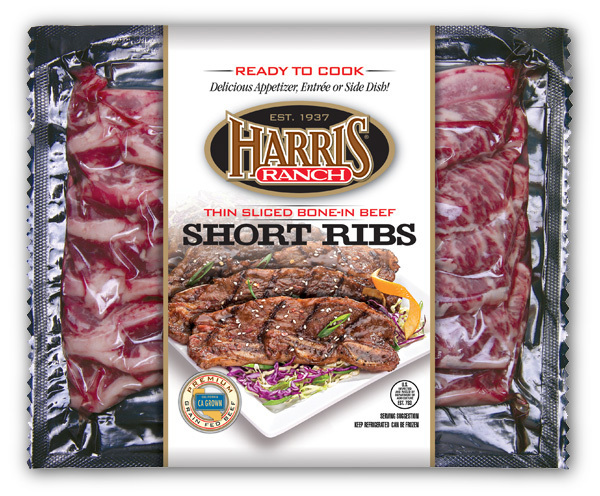 Following USDA inspection and grading, Harris Ranch’s Quality Assurance staff selects only the highest quality beef based upon the stringent standards that have made the Harris Ranch name synonymous with superior quality. 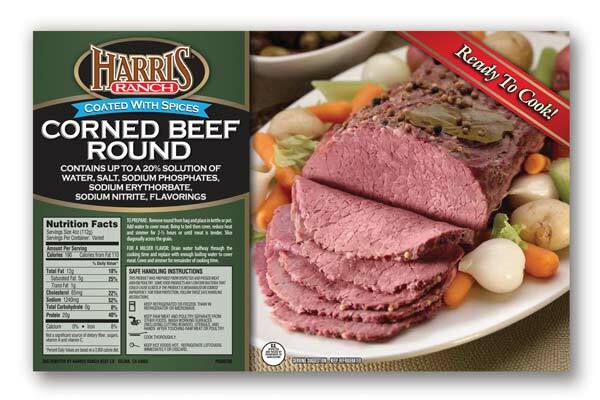 As with our other beef programs, cattle for this program are raised and finished for superior flavor and tenderness. 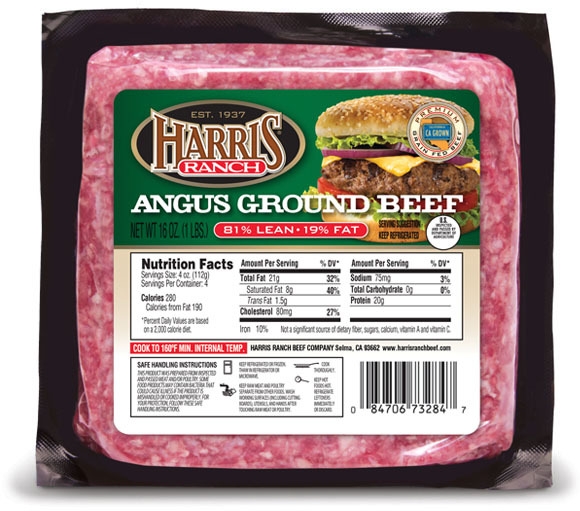 Angus is the most consistent beef available in terms of marbling, tenderness and taste. 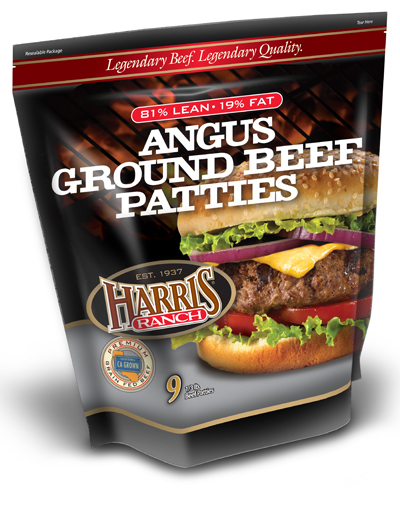 Produced exclusively from Angus cattle, these premium patties are in a class of their own. 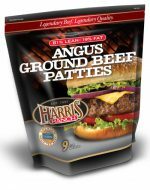 Whether you grill, broil or pan-sear our Angus patties, you are sure to discover that there truly is a difference worth tasting. 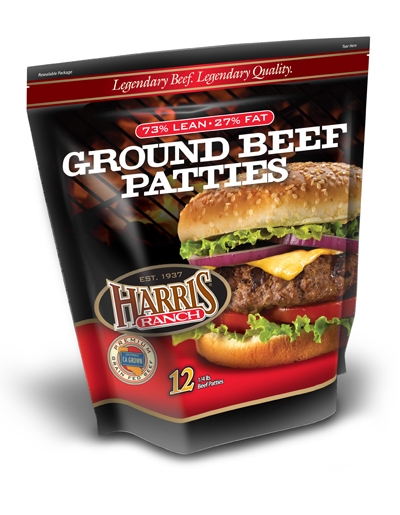 Harris Ranch Frozen ground beef patties are produced exclusively with ground beef that meets our exacting standards for quality, safety and wholesomeness. Each patty is individually quick-frozen to maintain the freshness, juiciness and flavor that is characteristic of our ground beef. These patties are available in the retail freezer case in two convenient sizes. 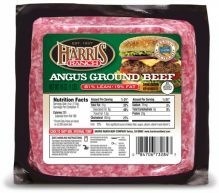 These case-ready chubs offer retailers extended shelf life and consumers exceptional Angus beef quality. 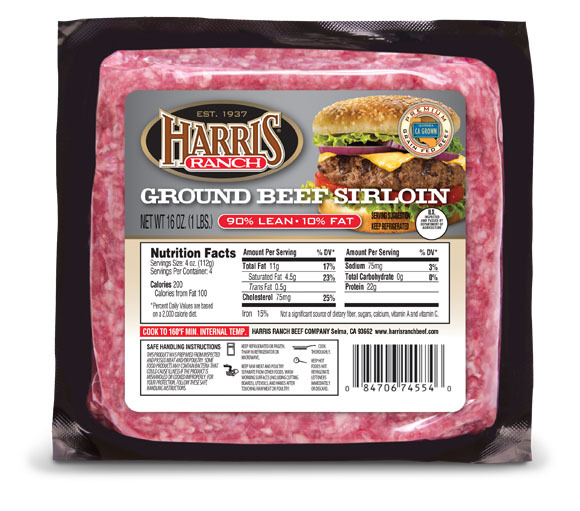 Harris Ranch ground beef is also available in case-ready, refrigerated ground beef chubs. 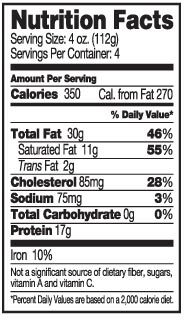 Various lean points, primal-specific grinds and chub sizes are available. 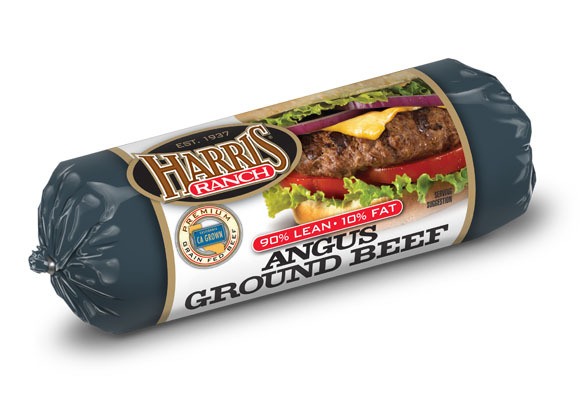 Harris Ranch Angus ground beef bricks are case-ready and refrigerated. 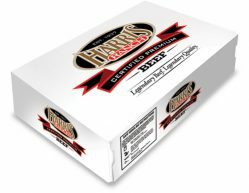 These bricks offer retailers extended shelf life and consumers exceptional Angus beef quality. 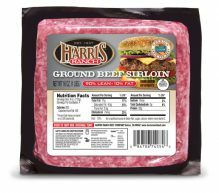 Harris Ranch ground beef sirloin bricks are case-ready and refrigerated with extended shelf life. 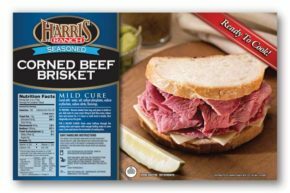 Our lean, flavorful corned beef briskets and rounds are hand-trimmed, and then cured ever so slowly for optimal tenderness and flavor. Old fashioned cure with traditional spice blend. Ready to cook. Mild cure with reduced spices. Ready to cook. Delicious appetizer, entrée or side dish. Ready to cook. The great taste of bacon without the pork – ideal for individuals with an aversion to conventional pork bacon. 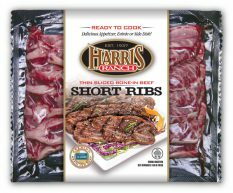 Delicious in appetizers, side dishes and anywhere traditional bacon is used. 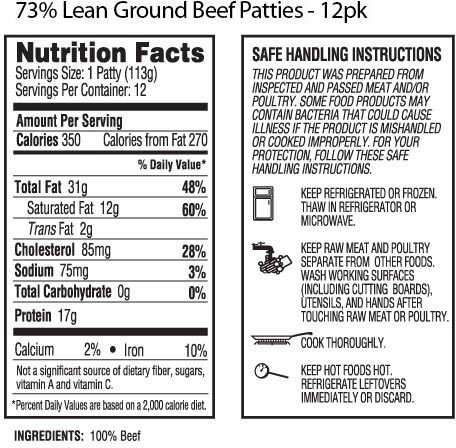 Ready to cook. 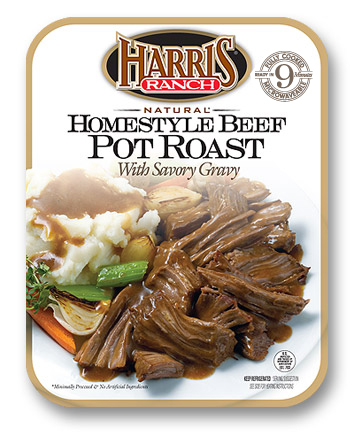 Old fashioned comfort food with a modern twist. 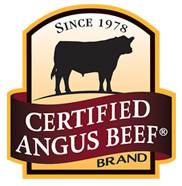 For those seeking a non-Angus beef program with quality and value from native cattle. As an added measure of safety in our ground beef operation, Harris Ranch Beef Company tests all raw materials before grinding under our internal test and hold program. 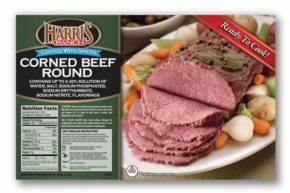 Made with 100% USDA Choice, whole-muscle chucks from Black Angus cattle The Black Angus breed produces beef with higher degrees of fine-textured marbling and thus superior juiciness and flavor. No need to thaw. 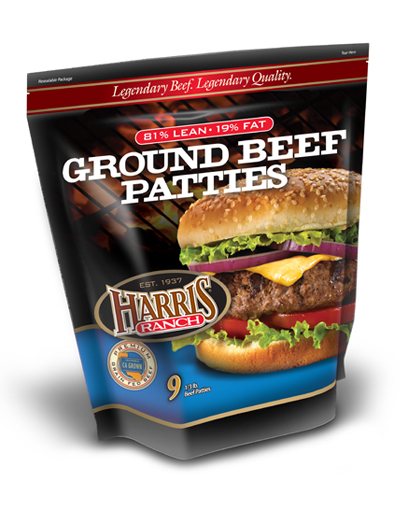 Patties can be cooked from frozen. 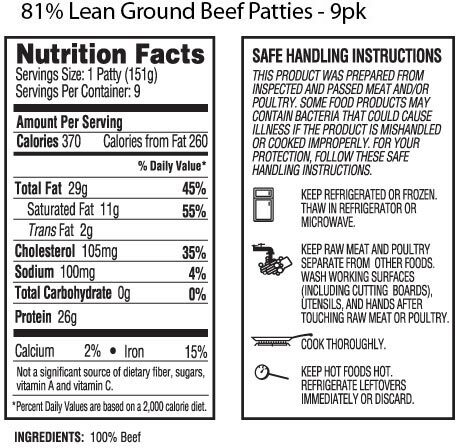 Poly-lined box reduces freezer damage. 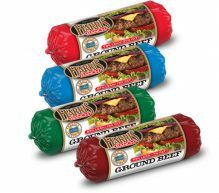 Wax paper between patties makes them easy to separate. Harris Ranch Halal frozen ground beef patties are produced exclusively with ground beef that meets our exacting standards for quality, safety and wholesomeness. 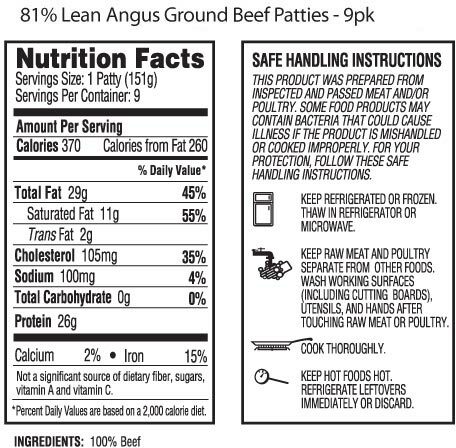 Each patty is individually quick-frozen to maintain the freshness, juiciness and flavor that is characteristic of our ground beef. Harris Ranch Halal ground beef is also available in case-ready, refrigerated ground beef chubs. 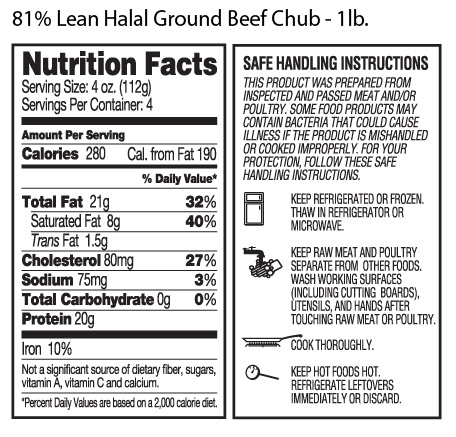 81% Lean Halal Ground Beef Chubs – 1lb. 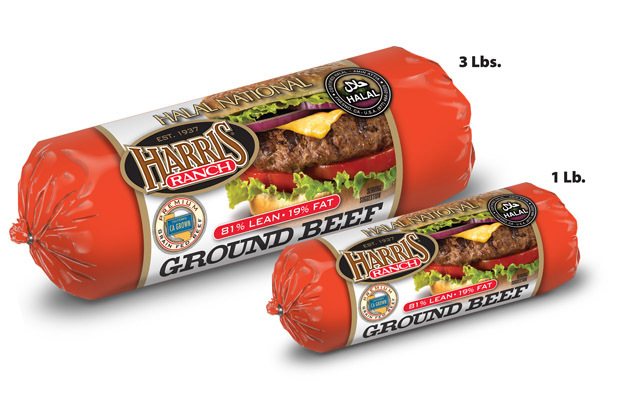 & 3lb. 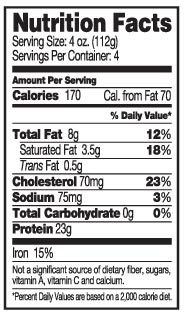 Please visit our Spices page for product descriptions.